It’s good to see some legitimate efforts to try to convince conservatives on interstate sales taxes, but I have to disagree on this point: the limitation on interstate commerce regulation is not ‘picking winners and losers’. It was an intentional restriction put into the Constitution to ensure the free flow of commerce, and today it allows the states to compete while keeping an open economy. 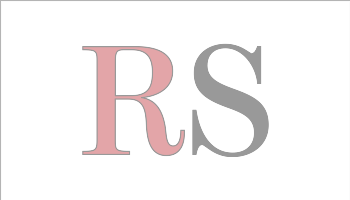 I think the ideal answer, that they really ought to try for next Congress, is an opt-in system that will let non-sales tax states offer retailers a safe haven, while sales tax states can opt-in to national taxation, in exchange for getting revenue from other states in that national taxation. Federalism: It’s not just a good idea. It’s the law. That said, the campaign to get this law passed is going all out for the lame duck. I hope they’re reading this. I don’t dislike sales taxes. IF we had a 100% sure way to nuke the income tax into glass, permanently, I’d back a national sales tax in place of all other taxation. But the states have come to rely on it, it’s a great antidote to the too progressive income tax we have today. We sold off some government spectrum licenses. Faster, please. We continue to see the Tor network used as a hub for crime, and nothing done about it by the Tor network management. But at least trends like this Tor trend will be easier to spot if cybersecurity data sharing happens. Patrick Leahy is making a show of being anti-NSA when Harry Reid and Barack Obama show no interest. So it’s all for show, and perhaps a run for President? It really is interesting that after years of Reid’s leadership, Democrats are making a show of pretending to lead in the lame duck when they’ve had the Senate for years. Let’s be clear: Europe’s “right to be forgotten” is censorship, and not a good idea. Google and others should put blank spots in to mark censored content, like they did in Rhodesia before the censors banned that, too, as it humiliated the censors. The conservative backlash to patent troll regulation is real, and the push is strong. I like this point of view coming out. We need patent troll legislation to happen in a way that doesn’t threaten legitimate patents. We don’t want an overly broad, anarchist ‘reform’ to happen. I like patents. I want patents to protect innovators. I don’t want dumb patents imposed by the same government that gave us Healthcare.gov, perverting the system into one that pays trial lawyers at the expense of innovators. We can find a compromise here. We don’t need more government. We don’t need Net Neutrality. American Internet access is good and we shouldn’t mess with that. Harry Reid is going to put a bait and switch on the agenda in the lame duck session. This is important to watch, because it’s a substantial power grab that appeals big government, tax-and-spend Democrats, as well as squishy, cronyist Republicans. That’s exactly the kind of sour grapes coalition that could pass a bad sales tax bill after the November elections. 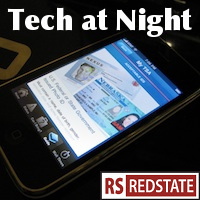 Tech at Night: The news catches up after Thanksgiving. $180k fine for participating in an attack. Two reminders I usually make here. Use good passwords, and make sure not to run software you don’t trust. Keep your software updated. If you use it, consider switching away from the leading target online, Microsoft Windows. Government is trying to catch these guys, but you have to lock your own door at night. Teenagers need to be monitored online. It’s for their protection against bad elements. Most parents would be disturbed to see their kids making videos like this, but without somebody watching, how would parents ever even know their kids were making video responses to requests by predators? Tech at Night: More on the Playstation 4. Kids don’t belong on the Internet. Heh, the Playstation 4 is pro-used games and cheaper, right? Not so fast. The PS4 simply didn’t include the Eye and will let publishers restrict used games after all. Told you EA didn’t stop online passes because they were suddenly fine with used games. Kids don’t belong on the Internet, because predators are out there. Even if your kid is high school aged, Be careful! 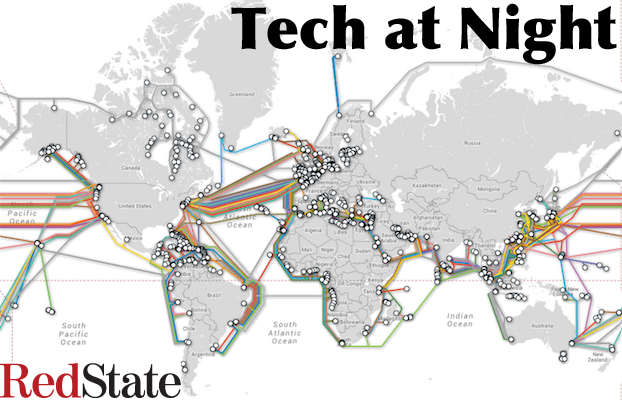 Tech at Night: It’s easier to get private Broadband than public Water. Google and eBay take stances. So the left is mad that the President’s new pick for Commerce isn’t totally in the pocket of the unions, and they’re mad the new pick for FCC, Tom Wheeler, isn’t a radical socialist like Bernie Sanders. I’m not all that optimistic about either pick though. The President is choosing bundlers for personal loyalty, which means radicalism on his terms, but still radicalism. This is amazing though, and this is something the radicals will never tell you: more Americans lack access to public water than to broadband Internet. Twice as many, in fact. Government is a failure, compared with private competition. Tech at Night: Sales tax deal is dead. Silly video privacy law gone. Obama makes life harder. Hey La-Mulanites! I’m Neil, and let’s play Tech at Night. Anyway. Yeah, I took a break, as you may have noticed. It turns out between Christmas, New Year’s and the Fiscal Cliff, not much happened for me to cover, anyway! So let’s get started. Two legislative notes: the outmoded video privacy law passed, while the so-called Marketplace Fairness Act is dead in the water. I always said its best chance was President Romney and a Republican Senate, but now that’s not happening. Poor Amazon, bargaining with states on the assumption this would happen. And in case you forgot, a Cybersecurity executive order would be a bad thing, per Marsha Blackburn and Steve Scalise. Governors Robert Bentley, Mitch Daniels, Dennis Daugaard, Bill Haslam, Paul LePage, Rick Snyder, and Tom Corbett are part of push for the Marketplace Fairness act. I’ve come across a July letter to John Boehner, Harry Reid, Mitch McConnell, and Nancy Pelosi. I find it odd they’d do so now, unless they think they have no chance under a potential Republican Congress. Could that be the case? I wonder. And yes, those are all Republican governors, some of whom were part of the 2010 landslide. It’s only Republicans I’m seeing back MFA, not Democrats. Democrats are fine with just passing new taxes or raising old ones. They aren’t as hard up to maximize collections of old taxes as Republicans are.